Wu Jing is filming the sequel of "Wolf Warriors"
8 Sep - Actor-turned-director Wu Jing revealed that he is currently filming the sequel to his award-winning film, "Wolf Warriors". As reported on HK01, the actor who spoke to the media at the 20th Huading Awards in Hong Kong recently, stated that he had decided to direct the sequel after receiving such a good response from the audience last year. "We have started filming for two months. I hope to give the audience a more exciting movie and more intense scenes this time around," he said. Wu also expressed his hope to one day work with action veterans such as Jackie Chan and Chow Yun Fat. 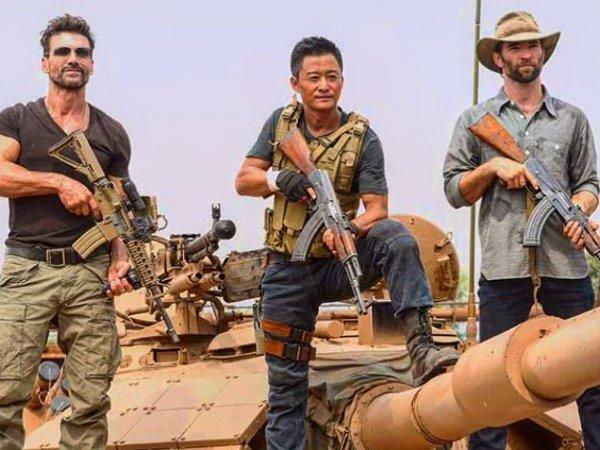 "Wolf Warriors 2" co-stars Russian pro-athlete-turned-actor Oleg Prudius, and "Captain America" star, Frank Grillo. "Captain America" stunt coordinator Sam Hargraves also works on the film. Grillo also shared a photo of himself on set of the upcoming film alongside Wu Jing on Instagram, and wrote, "My first time in a Chinese film. First one was a blockbuster. Hopefully this one will be even better."